TV soaps have produced many iconic female characters, effortlessly coping with philandering partners, blackmailing bosses and notorious neighbours. Brookside Close resident Jackie Corkhill had her share of heartbreak but for Sue Jenkins, the actress who played her for 11 years, it was a dream role. 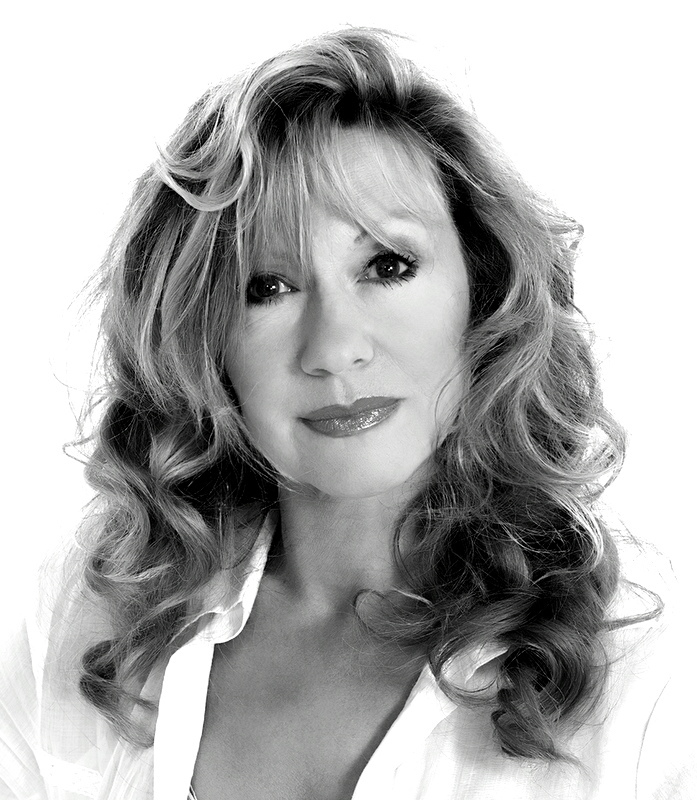 Jenkins has since played a wide range of parts on stage, TV and radio and has also turned her talents to directing. That’s the role she’s taken on for new play Peg & Bessie at this summer’s Greater Manchester Fringe Festival. A funny, sentimental story about the lives, loves and losses of two sisters in the autumn of their lives, it’s a piece I have a personal interest in, but more of that later. For Jenkins, it was never a conscious plan to move into directing. Jenkins continued her fundraising efforts with a second gala show, this time for Thailand and children’s charities in the North West. In 2008 she was voted Woman of the Year for her charity work. Along the way she also discovered a whole new set of skills. “I suddenly realised that I was good at being in control of projects and doing more than just concentrating on acting a part. It’s weird because people ask ‘you’re still acting aren’t you?’ and I am, but I enjoy directing so much now that I’m really careful about what I do as an actor. Sometimes I get offered projects I’d prefer to direct. I’ve always suggested things as an actor and I think that’s what you should do. I also love working with and directing actors. That’s what really makes it for me. I like to give actors free reign and being one myself means I can empathise with what they need. Jenkins’ current project is directing Peg & Bessie for this year’s Greater Manchester Fringe. It’s by a writer I know extremely well. Yes, that would be me. Loosely based on my two aunties, it shines a light on that strong generation of women who, after decades of marriage, somehow adapted to new lives as widows. Husbands who outlived their wives didn’t tend to cope well and often didn’t survive much longer. So I thought this difference in the sexes was an interesting area to examine. What makes women more resilient? More importantly, what made Jenkins get on board? As the writer, I want to elicit some laughs and possibly a little tear in the space of 50 minutes via characters that the audience will enjoy spending time with. 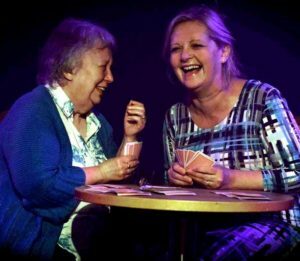 Playing the title characters, Jenny Gregson and Kerry Willison-Parry switch from humour to pathos in a heartbeat and if people come out of the show with the urge to give a loved one a call or a big hug then it’s worked. If there’s a ‘message’, it’s appreciate someone while you can. Jenkins has her own family acting dynasty. Her husband David Fleeshman has been a favourite on TV and in theatre for years and the couple’s three children, Rosie, Emily and Richard, are also enjoying success in the industry. Prior to playing Jackie Corkhill in Brookside, Jenkins did a stint behind the Rovers Return bar in Coronation Street as Gloria Todd and has also appeared in Emmerdale. Success in the soaps can be a blessing or a curse in terms of subsequent work offers but it’s clear that, in Jenkins’ case at least, her TV CV has been positive. Brookside broke many soap taboos with its hard-hitting storylines and gritty realism. A campaign is underway to bring the show back to our screens. Jenkins is unsure whether a reboot would ever be possible. In Peg & Bessie, the two characters reminisce about their lives. Are there any unfulfilled acting ambitions on Jenkins’ wishlist?